I didn't realize I had been away from the bloglandia whole weekend. We had some things come up. We bought a new car this weekend, plus I was scrambling to finish Eleanor and Park, for no reason other than the fact that it was so darn good! Rainbow Rowell is becoming my new favorite author! I also finished David Rakoff's Love, Dishonor, Marry, Die, Cherish, Perish which, I realized belatedly, was written in verse. It didn't work for me. I could see that the poetry was beautiful and the stories profound. But I just didn't mix too well with it - I think that's probably because it was more a literary verse as opposed to being a narrative verse. So for now, it looks like my foray into the verse genre has ended even before I thought it began. 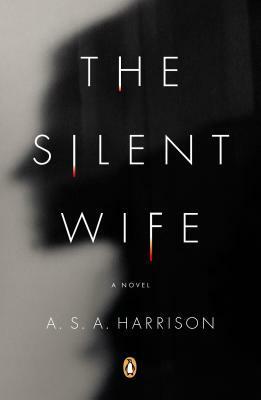 Today, I'm debating on starting A. S. A. Harrison's The Silent Wife. At this point, I'm a little leery of books that have Gone Girl yelling at me from the blurb. It's not fair to the book and the book mostly ends up disappointing, not because Gone Girl was too good (it wasn't, it was a good read.) but because the comparison raises a different kind of expectations. 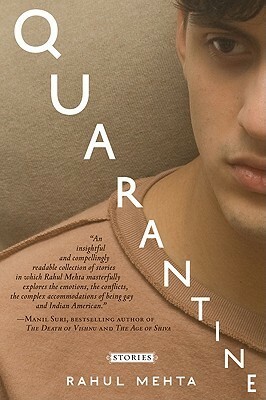 I'm also looking forward to finishing Quarantine by Rahul Mehta, which I've been reading on and off for a while - the short stories are beautiful! I've also been reading Monsters of Men (Patrick Ness' third book of the Chaos Walking trilogy) - a series that's been a lot of fun reading but getting a bit too long for me. I love novels in verse but don't think I've ever read one written in literary verse. Enjoy your new car! I read both Gone Girl and The Silent Wife. I liked The Silent Wife better, but I also would not compare it to Gone Girl. Besides a dysfunctional marriage, they are different animals. I started Silent Wife last night and it is well-written so far. I think I'm enjoying it! I've heard of Ellen Hopkins' CRANK and I know even readers afraid of verse enjoyed it a lot, so I'm looking forward to reading that some day, just not now, I guess. I'm glad to hear that. I did start Silent Wife last night and it is very well-written so far. I think I'm enjoying it better than I did enjoy Gone Girl. Looking forward to reading more! A new car? What did you get? I have GOT to read Eleanor and Park! I downloaded Eleanore and Park but just don't know when I'm going to find time to read it with everything else I'm committed to. I hope you get the time to read it. It's a fabulous read!